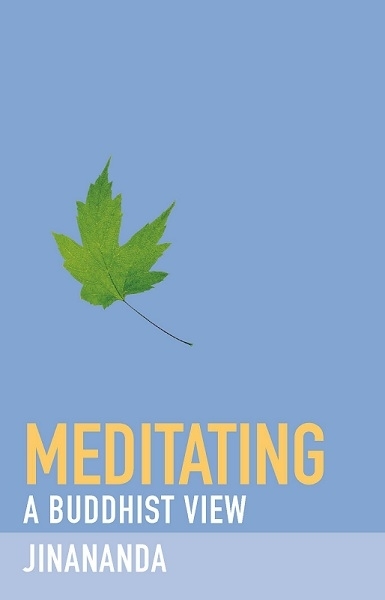 Meditating: A Buddhist View is an accessible and thought-provoking account of how to start meditating and keep meditating in daily life. Written by Jinananda, an experienced meditation teacher. Meditation is a household word, everyone has their idea of what it is, but does this mean that it is more misunderstood than understood? Here Jinananda, an experienced meditation teacher, gives us the Buddhist perspective. He shows us that – far from being a safe, patching-up, therapeutic tool – meditation is a radical, transformative, waking-up practice. Buddhist meditation is about being true to your experience, and this means getting behind the idea of what is going on, behind the label, to the ungraspable experience of this moment. Jinananda shows you how to start doing this, how to sit comfortably for meditation, and how to do two meditation practices that develop clarity, peace of mind and positive emotions.